Hi, you guys! So this is the official start of my Kuala Lumpur blog series although I haven't finished my Vietnam-Laos-Thailand travel series yet. Rest assured though I will blog about it as well. If you follow my blog, you'll notice that I usually overlap travel posts just to you know, balance the posts out and not bore you with content of the same destination. And that is why sometimes it takes months for me to complete 1 travel series. Lol. So anyway, Kuala Lumpur is my last out of the country travel this year (unless someone wants to sponsor my trips lol). I am actually looking forward to this trip because this one is a little "chill" compared to the backpacking me and my father did. Also, I didn't have to meticulously create an itinerary and research different transportation because we will just be exploring Kuala Lumpur and Malacca. No big backpacks this time. So back to the topic. 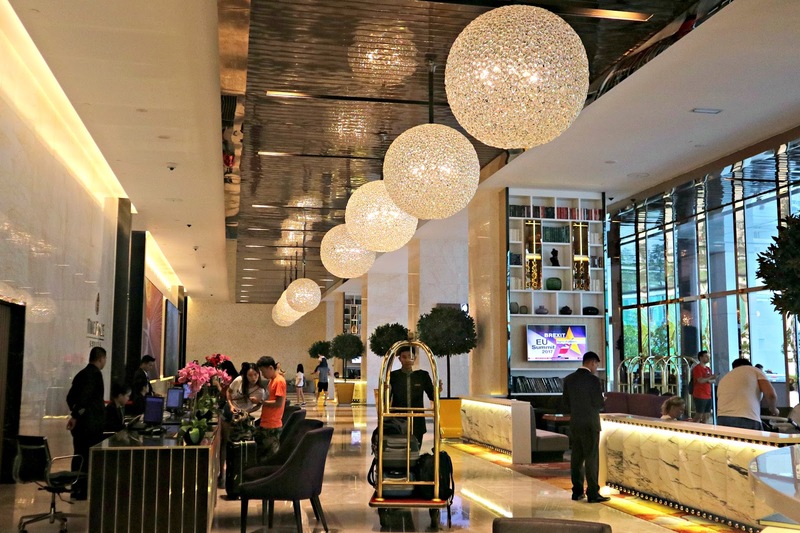 Why am I writing on where to stay in KL first before writing the actual travel? 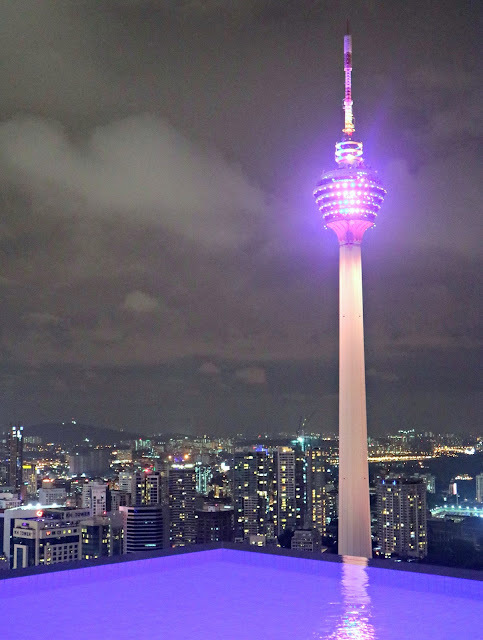 It's because I'm getting a lot of questions on where we stayed in Kuala Lumpur. To be honest, the accommodation we had in KL is one of the best yet I've booked in Airbnb. For the price, it totally gave us something more. It exceeded our expectations. So here it goes... 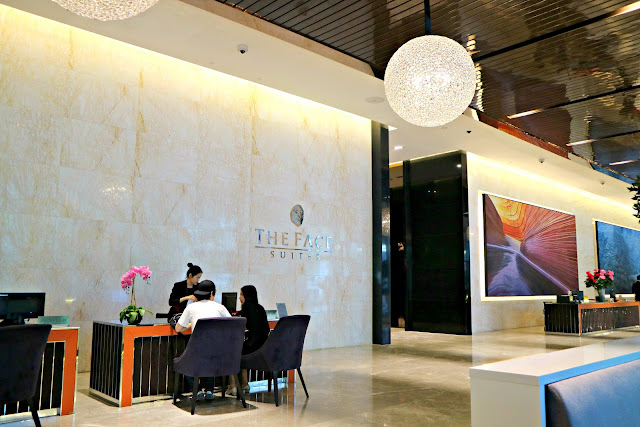 If you're planning on visiting Kuala Lumpur, I suggest you check out The Face Suites. It actually is a serviced apartment. It is in the city center and most tour packages offer free pick up from this hotel. I will not lie though, The Face Suites is quite expensive as this building is relatively new and was just constructed last 2016. During our stay, it is the newest building in KL. I found out about this hotel in an in-flight magazine from one of my flights this year. I actually love reading in-flight magazines as it gives me a glimpse of what to expect on my next destination. The suggestions too are very helpful. So while browsing, The Face Suites was suggested as an accommodation in KL. I didn't know this type of media still works like I didn't know magazines can still convince readers. I wonder how it works for advertisements. 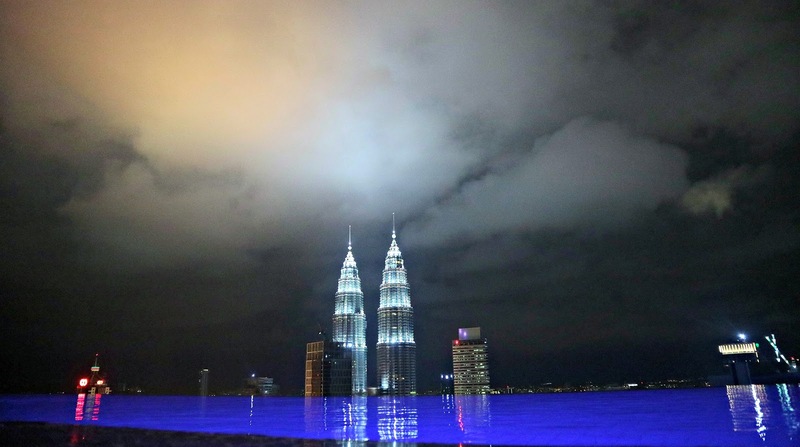 One of the thing that The Face Suites is known for is its mesmerizing infinity pool that gives the majestic view of Petronas Twin Towers on the left and KL tower on the right. It is the perfect backdrop. Be it during morning or evening. But wait.. we actually didn't stay at The Face Suites! Looool. It's too expensive for me even after trying to book different days months prior the trip. It was so sad. But not really. Given that I am super persistent and I didn't want that overlooking infinity pool to be out of the choices, I weigh in my other choices. The other choice? Booking an accommodation in Airbnb. But those rooms there doesn't have an infinity pool, right? ~*WRONG*~. Turns out The Face Suites also has an apartment side wherein the owners lend the rooms and advertise in Airbnb. The apartment side of the hotel is called Platinum suites. That's why I was confused when I was booking because the infinity pool looks totally the same but the rooms say it's from Platinum suites. Also, the lit sign on top of the building says Platinum Suites while in the entrance, you'll see The Face Suites. Quite confusing if you're not familiar. Imagine, we almost saved half of the published rates of The Face Suites while enjoying the same space as the hotel occupants. We were able to enjoy the same infinity pool, only that we don't have towel stubs so we just brought our own. No problem with that. Haha! And guess what? The rooms are almost the same! There are many listings of apartments under Platinum Suites in Airbnb. Some only have 1 bedroom while some are bigger. Some also has the view of the Twin towers right outside your window and some even have Wii and Playstation 4. I was supposed to book the one with the wii but it was for 8++ people. The key of the apartment though is not handed to us personally, we have to get the key in the locker on the lobby. So our only encounter with the host is when we asked help to operate the washing machine and electric stove and when we're about to check out. 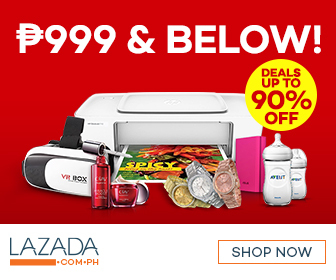 Very hassle free! Every night during our stay, we wanted to dip in the pool but there are some days we're just so dead tired from touring. I can stare at the view all day long. So there. That's where stayed and that's how I was able to book an extraordinary accommodation without breaking my budget. And also! I have some credits from the referrals I did for Airbnb. I used the credits for this trip and it was like major saving for me. If you guys don't have an Airbnb account yet, this is the best time to sign up! There are many low costs and amazing accommodation you can choose from depending on your budget. Totally a travel-friendly app and must have. 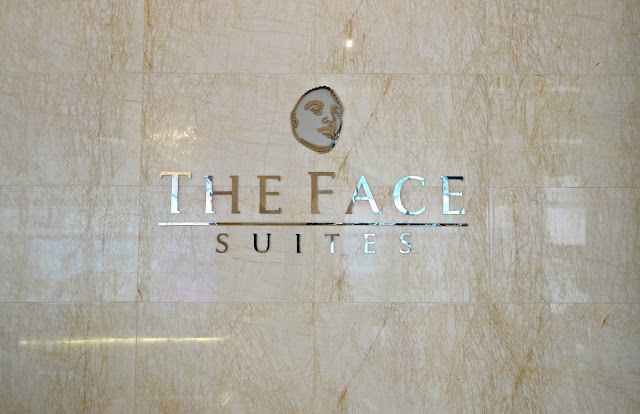 Thanks for recommending The Face Suites. The next time we will visit Kuala Lumpur, I will make sure to check on this place. Seems really advantageous and pretty neat. But I am just afraid how expensivr it could be. But then youve mentioned other places worth the check. Will look at them as well. 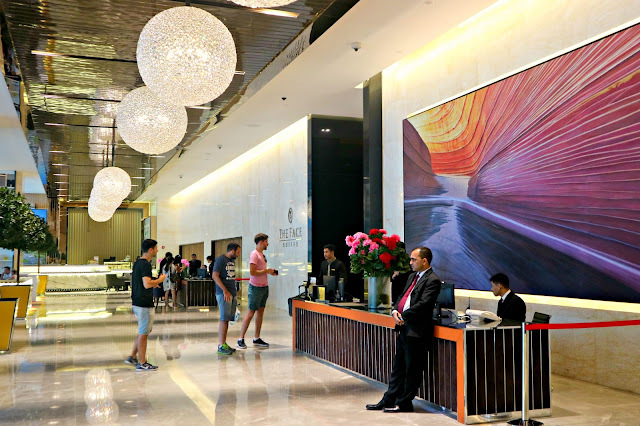 Thanks for this review post.Few years we ago we visited Kuala Lampur and it was a last minute arrangement.We stayed in Swiss Inn hotel.Though it is a 3 star hotel,we are really happy with the facilities and the staff.Now we are in a plan for another trip.Will check this hotel for our stay! I very well understand why you gave priority to stay. Very good option suggested. Surprising you got the info from inflight magazine. Wow! Awesome post, especially for people looking for a place to stay in the area. AirBnb IS awesome, and I'm always very happy to book with them. Were you able to have a dip in the pool? Please tell me yes? Hehe.